Game description : 8 Ball Pool Multiplayer: Play this Y8 game to enjoy fantastic multiplayer pool room. 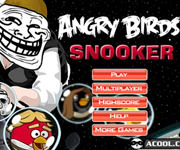 You may play \billiards by your self or challenge a user currently in the room! Have fun. Game controls : Simply using your mouse aim and shoot the ball.